Individual artist or group's collection of songs which can be availed at Traxbox Amspug produced at the studio or co-production/host. Use this section to compile song lists prior to buying or download (see 'Order' (CD) or 'Downloads' (mp3)) Please check availability to ensure order can be effected. SAMPLES FOR PREVIEWING LOCATED HERE AND/OR ON EXREME RIGHT COLUMN OF PAGE (-->). ALTERNATIVELY GO TO DEMOS OR DOWNLOADS PAGES. Note: Hesitant or slow activating online samples (i.e not downloads). These may regrettably take some time - up to a few minutes- to activate, due to and depending on your system or internet connection speed. Click repeatedly between the 'start' and 'stop' buttons on a sample's playback console; this may initially help to speed up activation for a single sample; else, leave the whole page some good time to fully load up. You may also check the extreme left column 'archive' or see demos page in case other samples are available. Originally based in Kampala Uganda, studio session and performance since 1995, founder members J S Mawejje (Joss Jjew), T.T and Winie M, collaborative with several other artists. 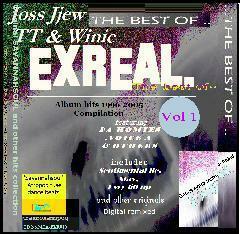 Original unreleased music (2005+) is featured as well as remixes of older material (1999+). All group members are currenlty active as solo artists due largely to relocations. Originally based in Kampala Uganda, studio session and live performance since 1995, founder members DJs Ragga D,Molar Messe (leaders), Iryn, Jeff Miiro, Pat B, DJ Berry (RIP) , Moses and other contemporaries as running contributors. J Mawejje original producer. Members now active mostly as solo artists. Working/stage name for Producer/session musician Joseph Mawejje. Several singles and a few albums are availed with material coveringa broad spectrum of styles and genres, including the original 'savsoul' RB+Afrobe at fusion dancehall vibe. Joss Jjew currently working on new material both own and for other artists at Traxbox Amspug (see releases). Super duo of Atomico AI and Van Grand Nester (stage names) offered first-class support to collegues as session collaborators and part of studio Traxbox Producer/session musicians outfit, late 1990's. Several singles and a few albums of their own were made, availed with material coveringa broad spectrum of styles and genres, especially fusion dancehall vibes. Both currently run own separate music and other businesses in Europe and Africa, hopefully a reunion may be on the cards at a future date. Our complete music Archive is being availed for previewing online ('demo edit' samples) soon!. Completion and upload onto this website expected in a few weeks more. 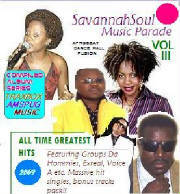 Savannhsoul as perfomed by the originators.Various artists tracks compiled and produced or co-hosted at Amspug. All-eclectic flavour. Savannhsoul as perfomed by the originators.Various artists tracks compiled and produced at Amspug, all-eclectic flavour. 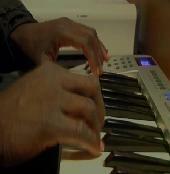 Instrumental (keyboard synthesiser) tracks compiled and produced by J S Mawejje, easy listening to jazz fusion flavour. SALES OFFERS! CHECK FOR ITEMS BEARING THIS TAG. The Album -Pioneer savsoul dance music This is a compilation of original music by the group EXREAL, featuring best of their hits since 1998. Featuring the vocals of 'T.T' Tendo and Winnie Munyenga , with production/composition by J.S Mawejje (Joss Jjew) a classic rendition of the 'savsoul' Music genre. Lyrics multi-lingual in English, Luganda and Rap. 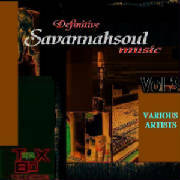 Genre:Savannahsoul dance, R&B/Ragga, fusion beats. The artists: ..Featuring exclusive original work by Joss Jjew (Joseph Mawejje) and Peter Kasaayi, the artists' debut 'savsoul' album originally recorded in Kampala Uganda. Best described as a musician's album wirh a distinctily live-band executed approach. The Music: Deliberately neo-classic Afro dance music , styles including Rhumba typique, zouk and Kikongo-flavoured savannahsoul, interspersed with R&B/Raggae fusion beats. Lyrics are multi-lingual in English, French,Luganda and Rap. Vol 2,3 remix feature some bonus tracks from other albums as well as remixes. The artists: ..Featuring original or collaborative works by various talent at Traxbox Amspug originally made at the Studio. Featuring groups Voice A(Atomico,Van Grand) Da Hommies (Ragga D, Mese,Iryne,jeff) Exreal ( T.T., Winnie, J Mawejje) , Snag-'n'-O as well as solo features from Joss Jjew, Iryne, Ragga D and many more. Best described as a classic 'savsoul' roots album, with each artist giving a distinctily unique interpretation of the style. On original album (Vol 1) the music is indeed recorded live- i.e. real time (full track recorded) performances in the studio, hence the raw, but definitive edges! ; vol 2 is a recent remix. The Music: Original savannahsoul, plus R&B/Raggae fusion beats. Lyrics are multi-lingual in English, French,Luganda,Swahili and Rap. 1. Snag'n' O -The AIDS song 2. Easy Reputation - Gonna Be in the Better times 3. Exreal - Sentimental Lie Da Hommies - Ngamba obo'onkyaaye 5. 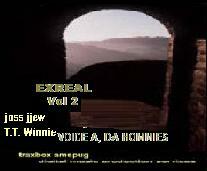 Exreal - My life is my Life 6. Exreal -Nandikutidde Zouk love 7. Joss Jjew - Every li'l up 8. Voice A -Hear my voice 9. Exreal -Nsanji zouk Bonus tracks -We are a family - First for the nation -Ayaman >preview album (Edit samples only: real item on purchase) Buy this with Part II for £15.98; save £3.00! The artists: ..Featuring more artists such as Snag 'n' O, Easy Reputation, Velvet beat, in addition to Voice A, Da Hommies, Exreal already with newer items. Still essentialy a classic 'savsoul' roots album, the items are slightly more focused on messages/issues rather than pure dance: check Snag 'n' O's 'AIDS'll kill mankind', VA's 'Hear the voice' and ER's 'Better times again' Original recording is on Vol 1 ; vol 2 is a recent remix. 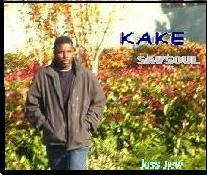 The Music: Original savannahsoul, plus R&B/Raggae fusion beats. Lyrics are predominantly in English, for a more focused audience. Buy this with Part I for £17.98; save £3.00! The artists: ..Featuring more from Easy Reputation, Velvet beat, in addition to Voice A, Da Hommies, Exreal and more . A genuine contemporary eclectic mixture that will be as good for easy listening as for dancing to. 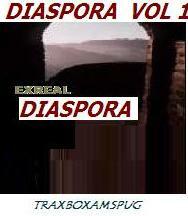 Original recording is on Vol 3 ; vol 3RMX is a recent remix. 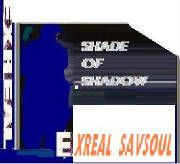 The Music: Savannahsoul, R&B/Raggae roots, Ragga fusion beats. Lyrics are predominantly in English, for a more focused audience. The Album -Pioneer savsoul dance music This is a compilation of original savsoul as initially developed by the artists; undiluted afro-dance dynamics and rythms overlain with multi-lingual (English,French) as an 'internationalising' aspect. The music attempts to capture the real sparks in modern African Music while being plausible and understandable to a non-african audience. Compositions and arrangement J.S Mawejje (Joss Jjew). Currently these can be obtained by directly ordering the item individually or in a selection. See procedure on the ordering page.